Discover the food highlights of Italy on this special tour designed in partnership with Savor Seattle Food Tours. Your journey will take you around the Amalfi Coast, through the rolling hills of Tuscany, and into the foodie capital of Emilia-Romagna. Roll fresh pasta with a local chef, taste prosciutto sliced in front of you in the factory, pick grapes in a vineyard, and dine on seafood caught by a fishing boat coming in to port. Let this journey through Italy tickle your taste buds and fulfill your culinary dreams. Although many of us consider “Italian food” one type of cuisine, throughout this journey you’ll learn about the history of different regions of Italy and the cuisine that hails from each locale. Our dining experiences focus on eating what’s fresh, seasonal, and local. May 25 - June 2, 2019 - only 4 spots left! Annie Cheng is the founder of The Table Less Traveled. She has personally curated this trip to Italy around friends that she’s met through drinking wine at family vineyards to meandering around Florentine artisan workshops. With only two small towns on the island of Capri, Domenico Arcucci is one of a few certified guides who was actually born on the island. He infuses our trips with first hand knowledge of the cultural nuances of the island and personal stories of his heritage. With a family history of French and Italian chefs, Chef Alain Liggia certainly knows his way around the kitchen. And he’ll teach you a few more family tricks beyond just how to roll your pasta. Benvenuto in Italia! 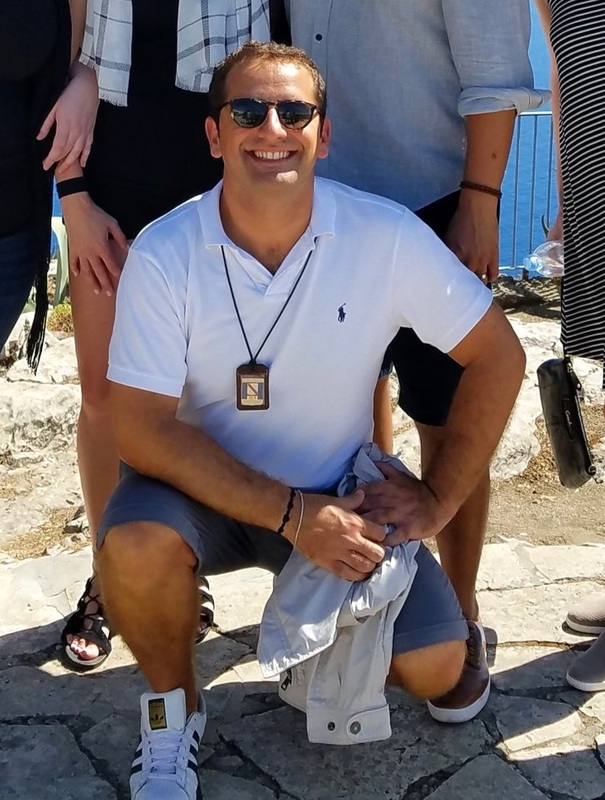 Upon arrival at the Naples Airport we will have a driver waiting for you and they’ll whisk you away in a private car on a beautiful, winding drive past Mt. Vesuvius, approximately 90 minutes until you reach our hotel in Sorrento. Our tour leader will meet you at the hotel lobby upon arrival to help with check in. After you book your tour we’ll help coordinate your international arrival, early check in if necessary, or extra nights accommodations if you’d like more time to sleep off the jet lag! Meet your tour leader and the rest of your group for the first time in the hotel lobby. We will have a short introduction and welcome before walking straight to the port for our welcome dinner at a local seafood restaurant. Watch the night scene come to life in the marina while dining on fresh catch of the day. After a leisurely morning and breakfast on your own time at the hotel, we’ll meet our local tour guide in the hotel lobby. We’ll start out with a 2-hour walking tour, hearing tales of what it was like to grow up in this small coastal town and meeting local artisans. Then, we’ll continue on for a light lunch a beautiful, private venue before returning to our hotel for a bit of down time. Meet in the hotel lobby for a 30 minute drive to a small town along the Amalfi Coast. We’ll start our experience by walking through the lemon groves and learning how to make the local limoncello liqueur. And what’s a tour without a tasting?! Have a little tart and tasty pick-me-up before we head off on an adventure to visit a family-owned dairy farm. You’ll meet the cows and taste fresh mozzarella right after it’s made in front of your eyes. Prepare to get your hands dirty in our first cooking class! You’ll learn to make pizza and dine on your own creations for dinner. We will return to Sorrento in our private cars by about 9:00 PM. Meet in the hotel lobby where we’ll walk about 10 minutes down to the port to meet our boat captain. We’ll hop on board our beautiful private boat as we sail across the sea towards the island of Capri. We’ll spend the morning on the boat, touring around the island and its famous grottos. During this time you’ll have an opportunity to swim, sunbathe, and enjoy life at sea. 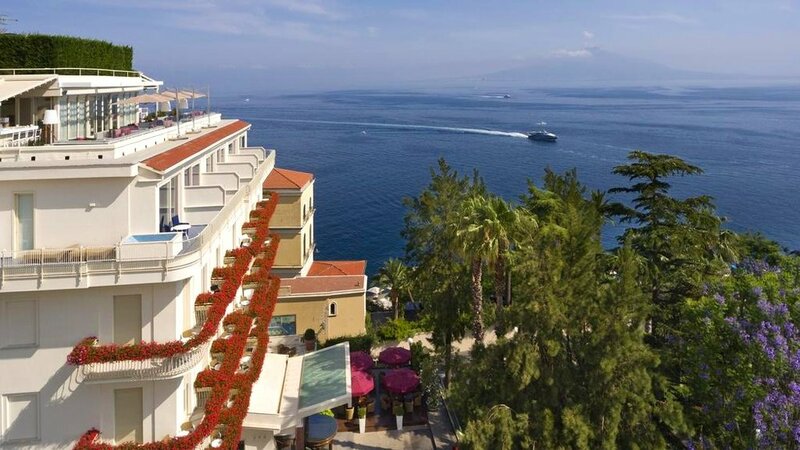 We will have refreshments and a light lunch on board before arriving at the Capri marina. 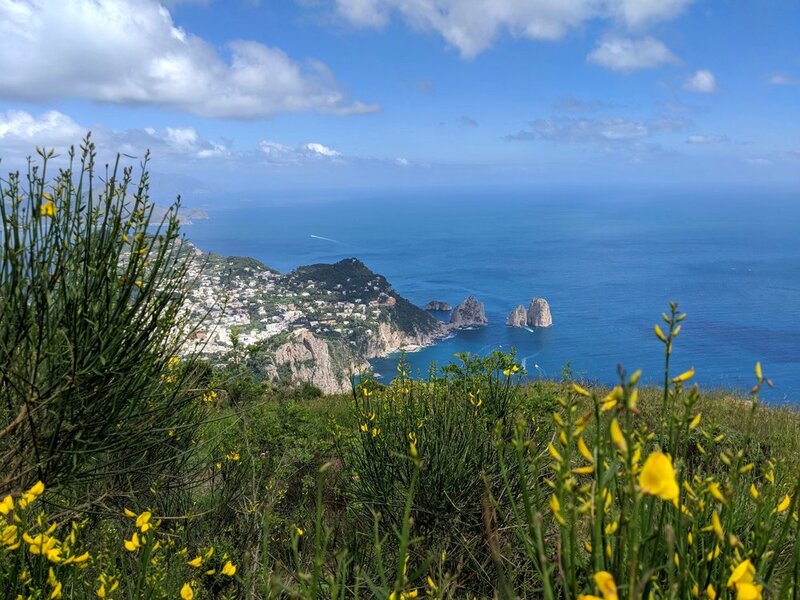 On Capri we will meet our guide to visit Anacapri and Capri before you have about an hour of free time to shop or snack on your own. If the weather cooperates, we’ll take the single chair lift up to Monte Salaro for beautiful views over the bay of Naples. We’ll board our boat again in the Capri marina and return to Positano by about 5 PM. Upon arrival in Positano we will meander through the small pedestrian walkways up to meet our drivers who will take us to the high hillsides above the town. We will enjoy beautiful views while dining on the patio of Marika’s home, with a truly farm-to-table dinner with most of the ingredients coming from her own garden. At about 8:30 PM we will depart from dinner to return by private vehicle to Sorrento. Your luggage will be picked up from your hotel room and you’ll meet your group in the hotel lobby to check out and prepare for our journey towards Naples. We’ll drive about 1-2 hours depending on traffic. As the birthplace of pizza, Naples is a mandatory stop! But, did you know that pizza was originally fried, not baked? We will pop in for an early lunch at a family-owned eatery popular among the locals. After our lunch break, we’ll hop back on our private vehicle for the 5-minute drive to the train station. There we will prepare to board our train which departs at 1:00 PM. The train ride is 2 hours and 50 minutes, and when we reach Florence we will be picked up by our drivers and drive directly to our hotel approximately 20 minutes. We will check in to our hotel together and we’ll have your luggage delivered to your room while you settle in. Meet in the hotel lobby where we’ll meet our local guide, an art and history buff. She’ll take us to visit this Renaissance city’s most iconic piazzas, buildings, and sites for a 2-hour walking tour introduction. After our tour we will walk directly to dinner where we’ll dine at a traditional Tuscan restaurant. Prepare for heavier fare and of course, the famous Florentine Steak! On our way back to the hotel we’ll stop for a bit of gelato. Because… why not?! Meet in the lobby for our ‘eat like a local’ walking tour of the city. We’ll discover the Oltrarno - the neighborhood on the ‘other’ side of the Arno River. We’ll visit a variety of eateries with about 4 tastings between stopping for lunch at a local trattoria. Our walk around the neighborhood will be interspersed with visits to local artisan workshops - with possible visits to a print press artist, a Florentine mosaic workshop, and a leather sandal maker. After our 4 hour walking tour, you have the afternoon free to shop, relax, or visit museums on your own. Although we do not visit museums as a group, we are able to coordinate timed entrances and ticket purchases as well as guided tours if you prefer. Meet in the lobby where we will walk through the city to a local home in Florence. We’ll dine in a typical manner, just like a Florentine, with a casual dinner cooked by our host in her home. We’ll return to our hotel approximately 10:00 PM. Meet our chef in the hotel lobby where we will walk together to the Sant’Ambrogio market. We’ll learn about the ingredients used in our pasta class and will buy a few provisions as well. 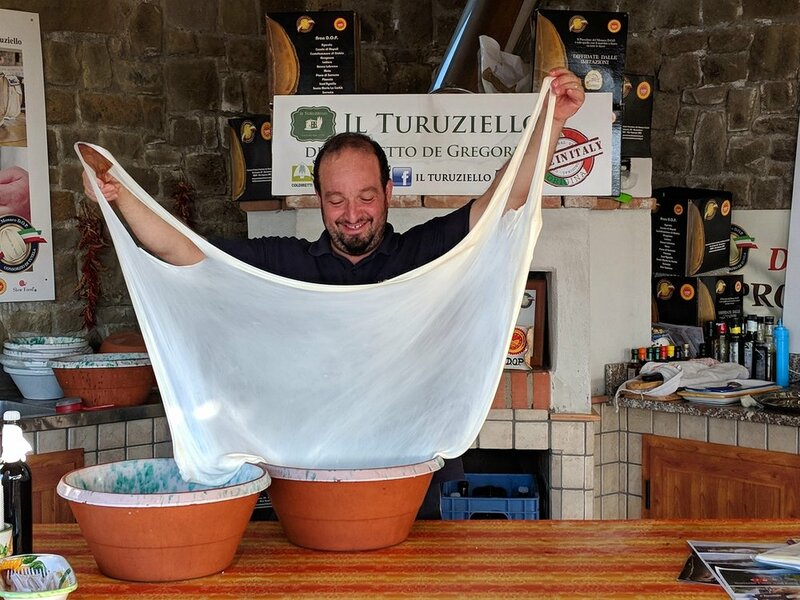 We’ll drive about 30 minutes from the market to a villa in the Tuscan countryside for an in depth lesson on making fresh pasta while we enjoy Chianti wines. Then it’s lunch time and we will dine on the fruits of our labor! After returning to Florence you’ll have the rest of the evening free at your leisure to explore the city and have dinner on your own. We’re happy to help coordinate museum visits, sightseeing, or dinner reservations. Yes, we know it’s early! But it’s worth it! We’ll check out of our hotel and meet in the lobby for approximately 2 hours to our food tour of Emilia-Romagna. 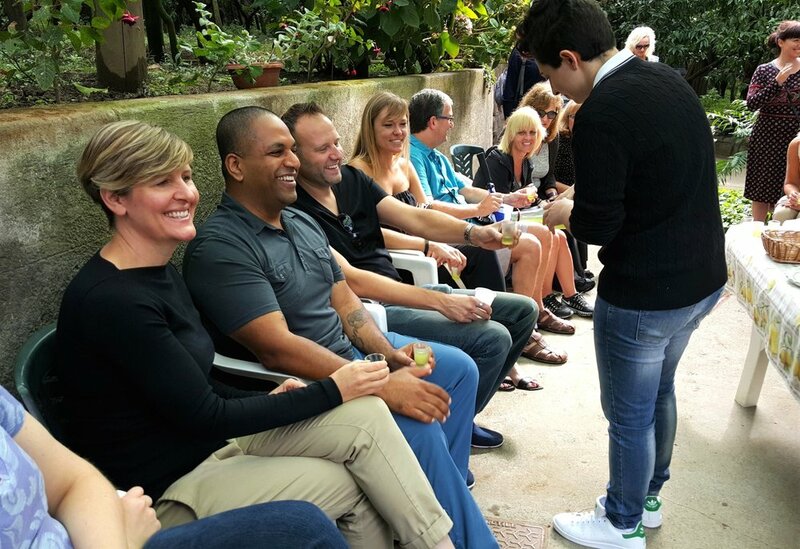 At each stop we’ll savor tastings and top off the tour with a traditional lunch where you will eat and eat and eat until your heart’s content (and then some). After our late lunch we will depart at approximately 4:30 PM to drive 1-2 hours depending on traffic to our resort. Perfect time for a nap! After our winery tour we will walk down to the on site restaurant for a small tasting menu lunch paired with the wines we just tried. If the weather is nice we’ll sit on the patio so bring bug repellent and any hats or sun protection as needed. You’ll have the afternoon free on the winery resort until we depart for our farewell dinner. Meet in the reception area to take a private van to a nearby town (about 15-30 minutes driving) where we will have dinner at a very traditional, small, family-owned restaurant with quite the history. Riccardo will share his restaurant’s story before dining on typical local fare. We will return to the resort at approximately 10:00 PM. On our day of departure we will have an optional group breakfast at the resort. And then you will have a private driver to take you to the airport in Bologna (BLQ) or the train station if you have an onward destination in Italy. Arrive in Rome (FCO Airport) a few days early and kick start your vacation by exploring Italy's bustling capital. On your last morning in Rome we will coordinate transportation for you to the Amalfi Coast to meet your group and begin our 9-day adventure. To book an extension or inquire about pricing on a customized itinerary to extend your vacation in Italy, call us at 425.894.8976 or contact us. *Itinerary, hotels, activities, and modes of transportation are subject to change based on availability and/or weather conditions. In the event a hotel is unavailable, another comparable 4-5 star hotel will be substituted. See Terms & Conditions 2019 for more details.